While The Thrillist may have been quick to point out that March 14 is technically “Pi Day” and not “Pie Day,” it’s safe to say most of us are just happy to have any excuse to eat pie. First and foremost, Pi Day is a celebration of the mathematical constant, π (pi), or 3.14159265359. As you can see, the date is literally the first three major numbers, when you write March 14 in a numerical format, like 3/14. 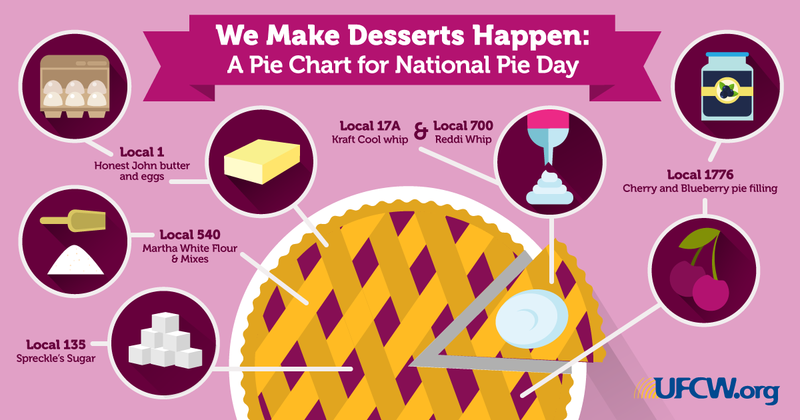 That’s right: Pi Day is about math, but thankfully, someone made it fun with pies. Best of all, a lot of people tend to celebrate the occasion with pizza, too, which arguably makes Pi Day better than National Pie Day. If you’re not the baking type, don’t worry, we’ve got you covered. UFCW members from Local 700 make Marie Callender’s frozen pre-made pies, so you can feel good about supporting good jobs while indulging your sweet tooth. You can even top them off with some Local 700-made Reddi-Wip to boot. You can go traditional and make a cherry pie with UFCW-made Lucky Leaf cherry pie filling, or be controversial and make a cheesecake with UFCW-made Philadelphia cream cheese. Is a cheesecake a pie? The debate is ongoing on that one, but we can all agree more cheesecake isn’t a bad thing. To receive discounts, register for an account and then log in to view not only savings on tax preparation, but also child care, groceries, car rental, and much more! 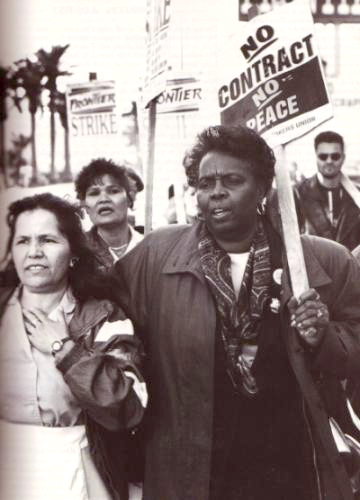 Women’s History Month is celebrated in order to promote the significant contributions women have made to the labor movement and beyond that are often left out of the history lessons taught in our classrooms or promoted in society. The following women are just some of the major players who have had a major role in the fight for equal rights, who made (and are still making) history by exposing horrible labor conditions and acted to change them, and inspired a generation of activists and leaders today. Photographer Louise Boyle is best known for the images she captured, documenting the devastating effects of the Great Depression on American workers. In 1937, at the height of a wave of labor militancy, Ms. Boyle was invited to photograph the living and working conditions of the Southern Tenant Farmers’ Union members from several Arkansas communities. Her provocative recording depicted courageous people linking their futures together despite devastating poverty, physical hardship, and brutal police-endorsed reprisals. Most portray African American farmers in their homes, at union meetings and rallies, or at work with their families picking cotton. Boyle returned in 1982 to rephotograph some of the people and places she had documented earlier. In 1982, May Chen helped organize and lead the New York Chinatown strike of 1982, one of the largest Asian American worker strikes with about 20,000 garment factory workers marching the streets of Lower Manhattan demanding work contracts. 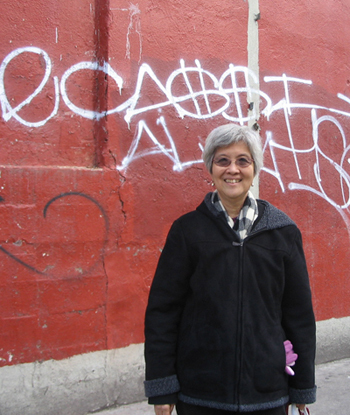 “The Chinatown community then had more and more small garment factories,” she recalled. “And the Chinese employers thought they could play on ethnic loyalties to get the workers to turn away from the union. They were very, very badly mistaken.” Most of the protests included demands for higher wages, improved working conditions and for management to observe the Confucian principles of fairness and respect. By many accounts, the workers won. The strike caused the employers to hold back on wage cuts and withdraw their demand that workers give up their holidays and some benefits. It paved the way for better working conditions such as hiring bilingual staff to interpret for workers and management, initiation of English-language classes and van services for workers. A field worker since the age of five, Jessie knew poverty, harsh working conditions, and the exploitation of Mexicans and all poor people. Her response was to take a stand. She joined the United Farm Workers union in 1965 and, at Cesar Chavez’s request, became its first woman recruiter. She also participated in strikes, helped ban the crippling short-handle hoe, became a delegate to the Democratic National Convention, testified before the Senate, and met with the Pope. She continued to be a political activist until her death in 2013, at the age of 93. 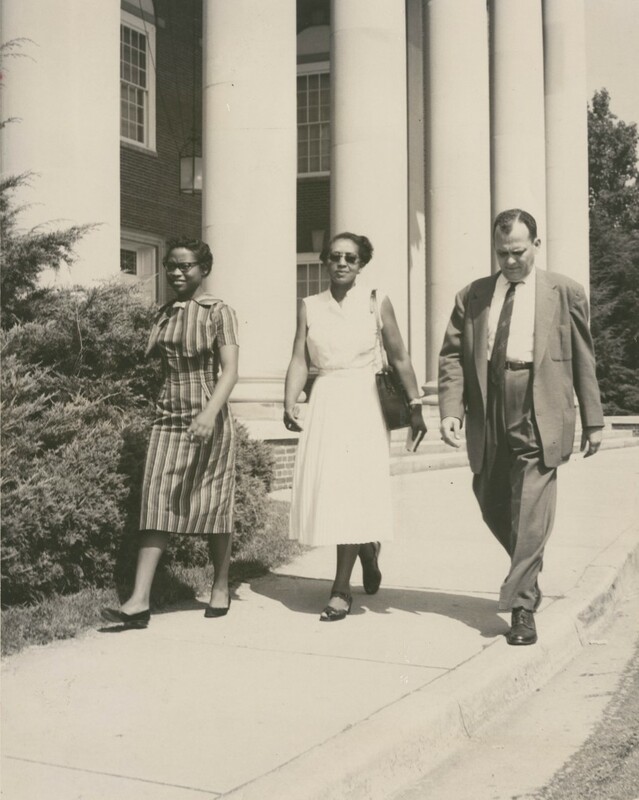 Velma Hopkins helped mobilize 10,000 workers into the streets of Winston-Salem, NC, as part of an attempt to bring unions to R.J. Reynolds Tobacco Company. 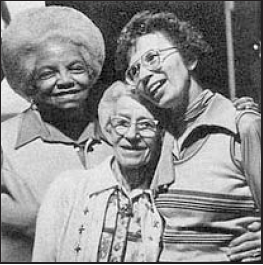 The union, Local 22 of the Food, Tobacco, Agricultural and Allied Workers of America-CIO, was integrated and led primarily by African American women. They pushed the boundaries of economic, racial and gender equality. In the 1940s, they organized a labor campaign and a strike for better working conditions, pay, and equal rights under the law. It was the only time in the history of Reynolds Tobacco that it had a union. Before Local 22 faced set-backs from red-baiting and the power of Reynolds’ anti-unionism, it gained national attention for its vision of an equal society. This vision garnered the scrutiny of powerful enemies such as Richard Nixon and captured the attention of allies such as actor Paul Robeson and songwriter Woody Guthrie. While it represented the workers, the union influenced a generation of civil rights activists. Before becoming a labor organizer, Dolores Huerta was a grammar school teacher, but soon quit after becoming distraught at the sight of children coming to school hungry or without proper clothing. “I couldn’t stand seeing kids come to class hungry and needing shoes. I thought I could do more by organizing farm workers than by trying to teach their hungry children.” In 1955, Huerta launched her career in labor organizing by helping Fred Ross train organizers in Stockton, California, and five years later, founded the Agricultural Workers Association before organizing the United Farm Workers with Cesar Chavez in 1962. 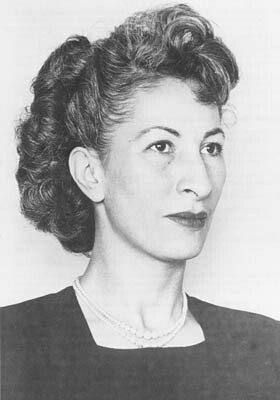 Some of her early victories included lobbying for voting rights for Mexican Americans as well as for the right of every American to take the written driver’s test in their native language. A champion of labor rights, women’s rights, racial equality and other civil rights causes, Huerta remains an unrelenting figure in the farm workers’ movement. 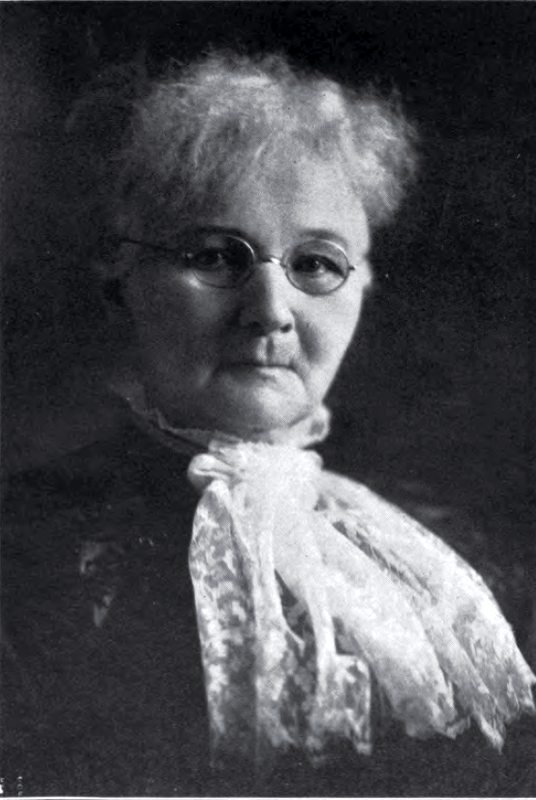 Marry Harris “Mother” Jones made it her mission to stand up for the rights of the children who worked in factories and mills under horrible conditions in the early 1900’s. “I asked the newspaper men why they didn’t publish the facts about child labor in Pennsylvania. They said they couldn’t because the mill owners had stock in the papers.” “Well, I’ve got stock in these little children,” said I,” and I’ll arrange a little publicity.” On July 7, 1903, Jones began the “March of the Mill Children” from Philadelphia to President Theodore Roosevelt’s Long Island summer home in Oyster Bay, NY, to publicize the harsh conditions of child labor and to demand a 55-hour work-week. 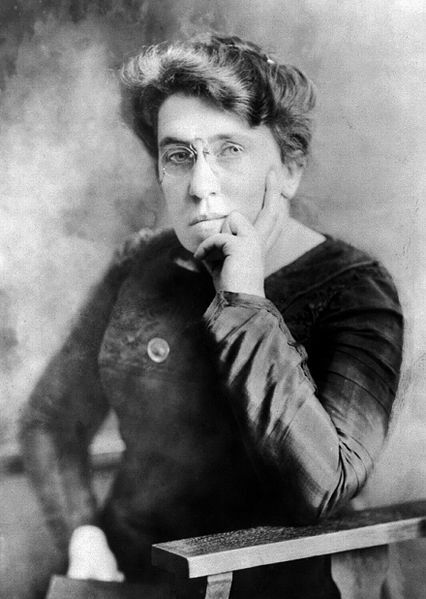 During this march she delivered her famed “The Wail of the Children” speech, even though Roosevelt refused to see them. “Wall Street owns the country. 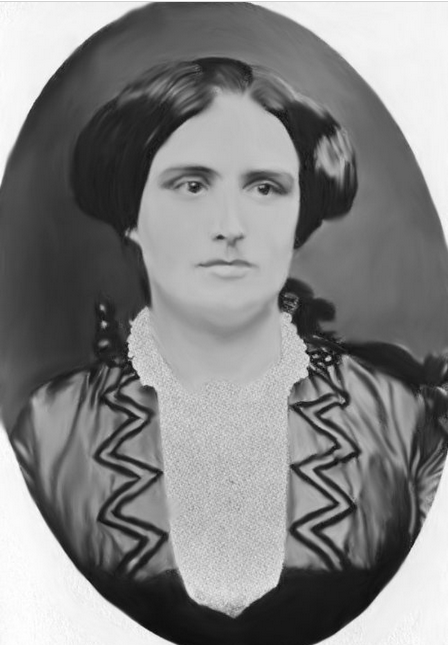 It is no longer a government of the people, by the people, and for the people, but a government of Wall Street, by Wall Street, and for Wall Street.” These words, which eerily echo some sentiments today, were spoken more than 120 years ago by Mary Lease, a powerful voice of the agrarian crusade and the best-known orator of the era, first gaining national attention battling Wall Street during the 1890 Populist campaign. As a spokesperson for the “people’s party,” she hoped that by appealing directly to the heart and soul of the nation’s farmers, she could motivate them to political action to protect their own interests not only in Kansas but throughout the United States. 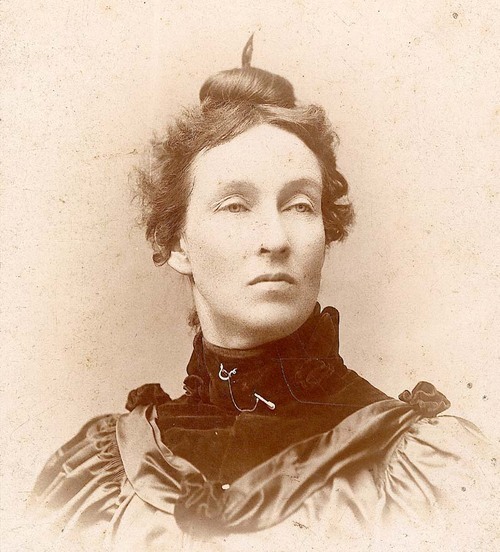 “You may call me an anarchist, a socialist, or a communist, I care not, but I hold to the theory that if one man as not enough to eat three times a day and another man has $25,000,000, that last man has something that belongs to the first.” Mary spent most of her life speaking out in favor of social justice causes including women’s suffrage and temperance, and her work reflected the multifaceted nature of late nineteenth-century politics in the United States. Many female leaders today, such as Elizabeth Warren, still fight against Wall Street and the 1% as inequality has reached exorbitant levels. “I have listened to all the speakers, and I have no further patience for talk. I am a working girl, one of those striking against intolerable conditions. I am tired of listening to speakers who talk in generalities. What we are here for is to decide whether or not to strike. 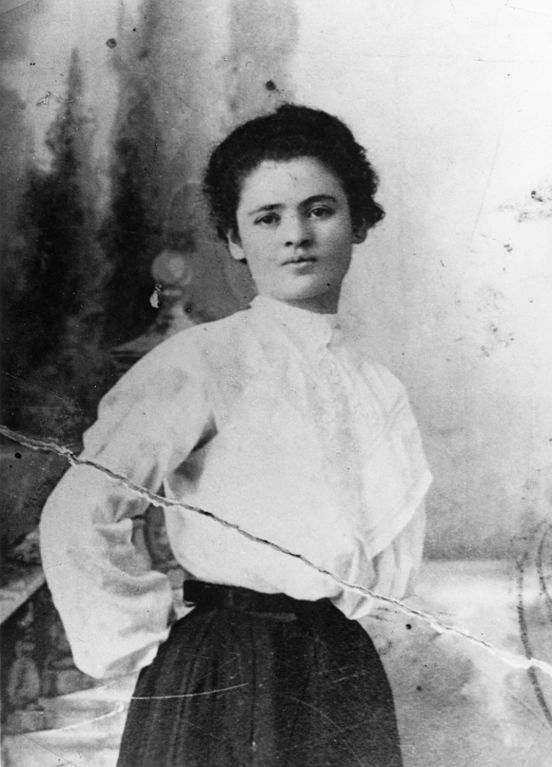 I make a motion that we go out in a general strike.” These were the words of Clara Lemlich, a firebrand who led several strikes of shirtwaist makers and challenged the mostly male leadership of the union to organize women garment workers. With support from the National Women’s Trade Union League (NWTUL) in 1909 she lead the New York shirtwaist strike, also known as the “Uprising of the 20,000”. It was the largest strike of women at that point in U.S. history. The strike was followed a year later by the Triangle Shirtwaist Factory Fire that exposed the continued plight of immigrant women working in dangerous and difficult conditions. 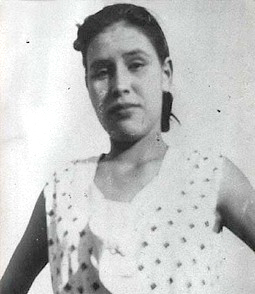 Luisa Moreno, a Guatemalan immigrant, first got involved in labor activism in 1930 at in Zelgreen’s Cafeteria in New York City, when she and her co-worker protested the employer’s exploitation of its workers with long hours, constant sexual harassment, and the threat, should anyone object, of dismissal. Hearing that workers would picket the cafeteria, police formed a line on the sidewalk that allowed customers to pass through. Luisa, in a fur collar coat, strolled through the cordon of policemen as if she was going to enter the cafeteria. When she was directly in front of the door she pulled a picket sign from under her coat and thrust it in plain view, yelling, “Strike!” Two burly policemen grabbed her by the elbows. They lifted her off the sidewalk and hustled her into the entrance way of a nearby building. She came out with her face bleeding and considered herself fortunate that she was not disfigured. Moreno spent the next 20 years organizing workers across the country. Her story serves as a reminder of just how dangerous the conditions were in those days to simply make one’s voice heard, but her bravery helped change those conditions for the better. “Any new method which the company sought to put into effect and disturb our work routine seemed to inflame the deep indignation already burning inside us. Thus, when a procedure was suggested for subdividing our work, so that each operator would do a smaller part of each glove, and thus perhaps increase the overall production—but also increase the monotony of the work, and perhaps also decrease our rate of pay—we began to think of fighting back.” This reminiscence by Nestor described how the oppressive conditions of the glove factory pushed her to take a leading role in a successful strike of female glove workers in 1898. Soon she became president of her glove workers local and later a leader of the International Glove Workers Union. 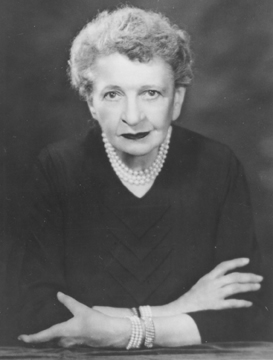 She also took a leading role in the Women’s Trade Union League, serving as president of the Chicago branch from 1913 to 1948. Pauline Newman, a Russian immigrant, began working at the Triangle Shirtwaist Factory in 1903 when she was thirteen years old. Finding that many of her co-workers could not read, she organized an evening study group where they also discussed labor issues and politics. Newman was active in the shirtwaist strike and the Women’s Trade Union League. She became a union organizer for the International Ladies’ Garment Workers’ Union (ILGWU) and director of the ILGWU Health Center. “All we knew was the bitter fact that after working 70 or 80 hours in a seven-day week, we did not earn enough to keep body and soul together,” she said. 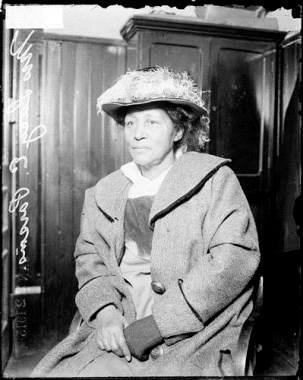 On May 1, 1886, Lucy Parsons helped launched the world’s first May Day and the demand for the eight-hour work day. 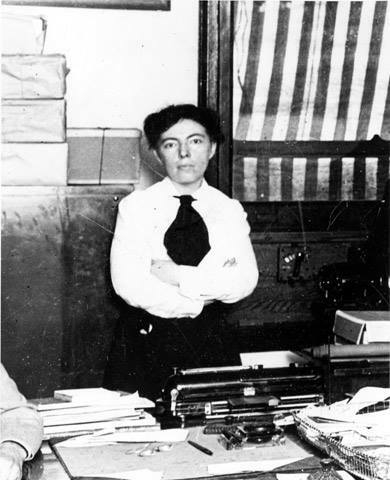 Along with her husband, anarchist and activist Albert Parsons, and their two children, they led 80,000 working people down the Chicago streets and more than 100,000 also marched in other U.S. cities. A new international holiday was born. 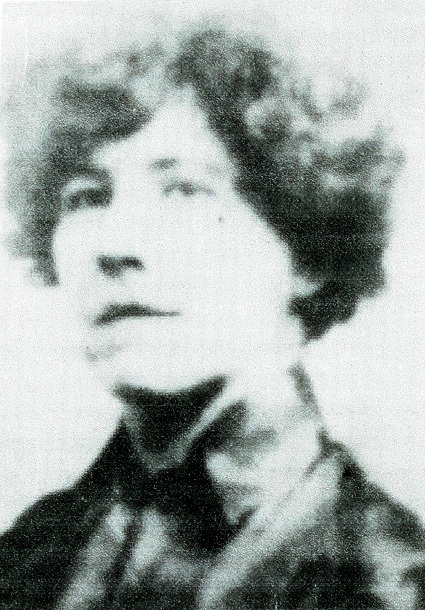 Parsons went on to help found the International Workers of the World, continued to give speeches, and worked tirelessly for equality throughout the rest of her life until her death in 1942. On March 4, 1933, Frances Perkins became the U.S. Secretary of Labor from 1933 to 1945, and the first woman appointed to the U.S. Cabinet. Having personally witnessed workers jump to their death during the Triangle Shirtwaist fire, Perkins promoted and helped passed strong labor laws to try to prevent such atrocities from ever occurring again. 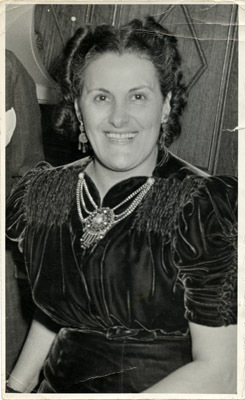 When Rose Pesotta arrived in Los Angeles in 1933 to organize employees in the garment industry, the workforce of which was 75% Latina, the local leadership of the International Ladies Garment Workers Union (ILGWU), consisting of mostly white men, had no interest in organizing female dressmakers, feeling that most would either leave the industry to raise their families or shouldn’t be working in the first place. On October 12, 1933, a month after Rose Pesotta arrived, 4,000 workers walked off the job and went on strike. Their demands included union recognition, 35-hour work weeks, being paid the minimum wage, no take home work or time card regulation, and for disputes to be handled through arbitration. The strike ended on Nov. 6 with mixed results, but the workers gained a 35-hour workweek and received the minimum wage. Although not a complete victory, the message sent was a powerful one. What Rose Pesotta knew all along was now clear to the garment bosses and her male union counterparts; women, specifically women of color, should not be discounted. When it came to the demands of dignity and respect, these workers would not be ignored. When Poo started organizing domestic workers in 2000, many thought she was taking on an impossible task. Domestic workers were too dispersed–spread out over too many homes. 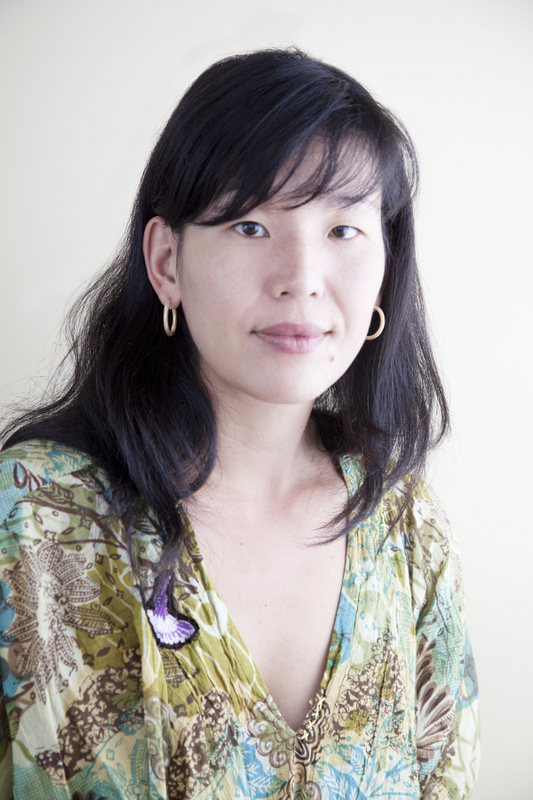 Even Poo had described the world of domestic work as the “Wild West.” Poo’s first big breakthrough with the National Domestic Workers Alliance (NDWA) happened on July 1, 2010, when the New York state legislature passed the Domestic Workers Bill of Rights. The bill legitimized domestic workers and gave them the same lawful rights as any other employee, such as vacation time and overtime pay. The bill was considered a major victory, and the NDWA expanded operations to include 17 cities and 11 states. 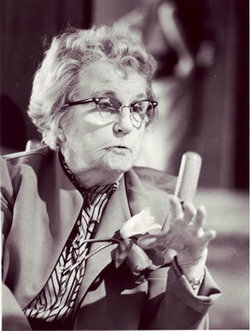 Florence Reece was an activist, poet, and songwriter. She was the wife of one of the strikers and union organizers, Sam Reece, in the Harlan County miners strike in Kentucky. In an attempt to intimidate her family, the sheriff and company guards shot at their house while Reece and her children were inside (Sam had been warned they were coming and escaped). During the attack, she wrote the lyrics to Which Side Are You On?, a song that would become a popular ballad of the labor movement. 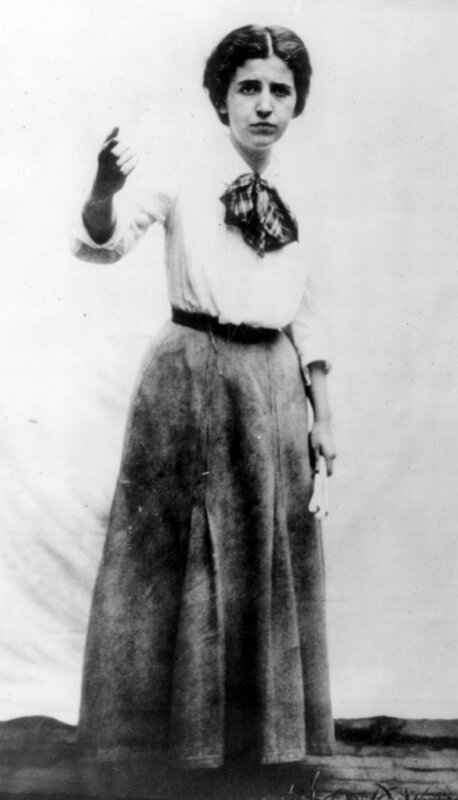 Fannie Sellins was known as an exceptional organizer that also made her “a thorn in the side of the Allegheny Valley coal operators.” The operators openly threatened to “get her.” After being an organizer in St. Louis for the United Garment Workers local and in the West Virginia coal fields, in 1916 Sellins moved to Pennsylvania, where her work with the miners’ wives proved to be an effective way to organize workers across ethnic barriers. She also recruited black workers, who originally came north as strikebreakers, into the United Mine Workers America. During a tense confrontation between townspeople and armed company guards outside the Allegheny Coal and Coke company mine in Brackenridge on August 26, 1919, Fannie Sellins and miner Joseph Strzelecki were brutally gunned down. 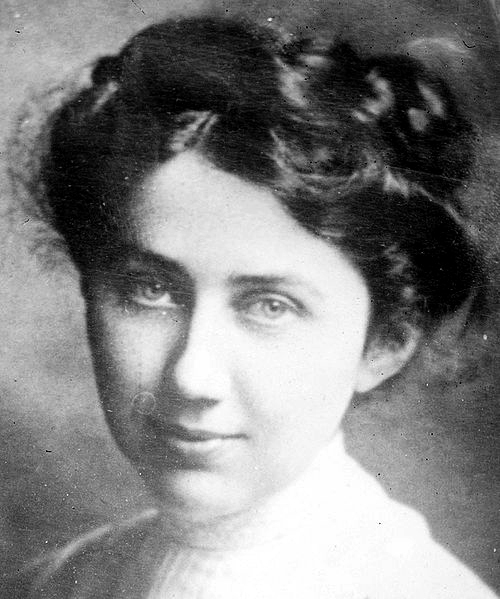 A coroner’s jury and a trial in 1923 ended in the acquittal of two men accused of her murder. She is remembered for her perseverance and bravery. “When I look back now, I really think we had a lot of guts. But I didn’t even stop to think about it at the time. It was just something that had to be done. We had a goal. That’s what we felt had to be done, and we did it,” said “Stella Nowicki”, the assumed name of Vicki Starr, an activist who participated in the campaign to organize unions in the meatpacking factories of Chicago in the 1930’s and ‘40s. “I was arrested a number of times. I never thought in terms of fear. I thought in terms of justice,” said Emma Tenayuca, born in San Antonio, Texas on Dec. 21, 1916. Later, she would become to be known as “La Pasionaria de Texas” through her work as an educator, speaker, and labor organizer. From 1934–1948, she supported almost every strike in the city, writing leaflets, visiting homes of strikers, and joining them on picket lines. 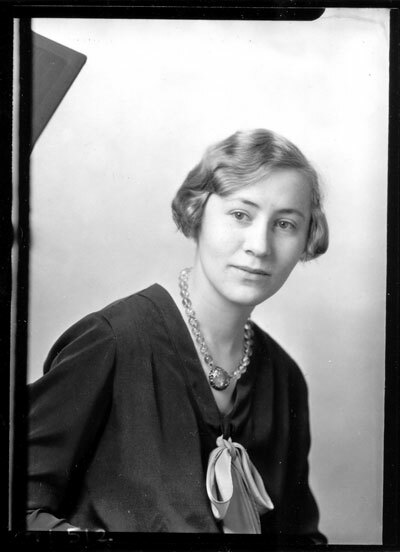 She joined the Communist Party and the Workers Alliance (WA) in 1936. Tenayuca and WA demanded that Mexican workers could strike without fear of deportation or a minimum wage law. In 1938 she was unanimously elected strike leader of 12,000 pecan shellers. 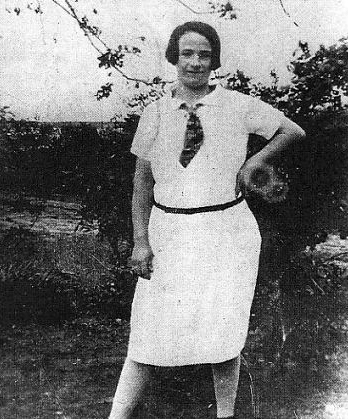 Due to anti-Mexican, anti-Communist, and anti-union hysteria Tenayuca fled San Antonio for her safety but later returned as a teacher. 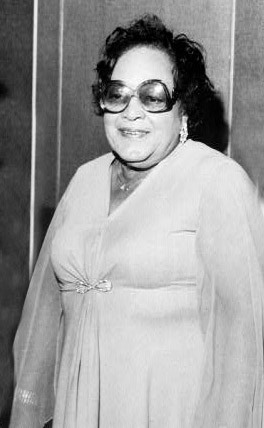 Ella Mae Wiggins was an organizer, speaker, and balladeer, known for expressed her faith in the union, the only organized force she had encountered that promised her a better life. On Sept. 14, 1929, during the Loray Mill strike in Gastonia, NC, Textile Workers Union members were ambushed by local vigilantes and a sheriff’s deputy. The vigilantes and deputy forced Ella Mae Wiggins’ pickup truck off the road, and murdered the 29 year-old mother of nine. Though there were 50 witnesses during the assault and five of the attackers were arrested, all were acquitted of her murder. After her death, the AFL-CIO expanded Wiggins’ grave marker in 1979, to include the phrase, “She died carrying the torch of social justice.” Also a song-writer, her best-known song, A Mill Mother’s Lament, was recorded by Pete Seeger, among others. Sue Cowan Williams represented African-American teachers in the Little Rock School District as the plaintiff in the case challenging the rate of salaries allotted to teachers in the district based solely on skin color. The suit, Morris v. Williams, was filed on Feb. 28, 1942, and followed a March 1941 petition filed with the Little Rock School Board requesting equalization of salaries between black and white teachers. She lost the case, but then won in a 1943 appeal. Why Should UFCW Members Choose AT&T? Save 15% on the monthly service charge of qualified wireless plans 1, 20% on select accessories 2, and get waived activation fees3 on select devices for new lines of service from AT&T. Download the Union Plus AT&T Coupon. § Must provide acceptable proof of union membership such as a membership card from your local union, a pay stub showing dues deduction or the Union Plus Member Discount Card.